Condé Nast's men's fashion and lifestyle magazine GQ, has hired Alastair Campbell to undertake heavy-hitting interviews covering the worlds of politics, sport, business and media, following on from where Piers Morgan left off. Campbell is a respected communicator and former communications strategist for former prime minister Tony Blair, and host of Campaign's Media Awards in 2013. 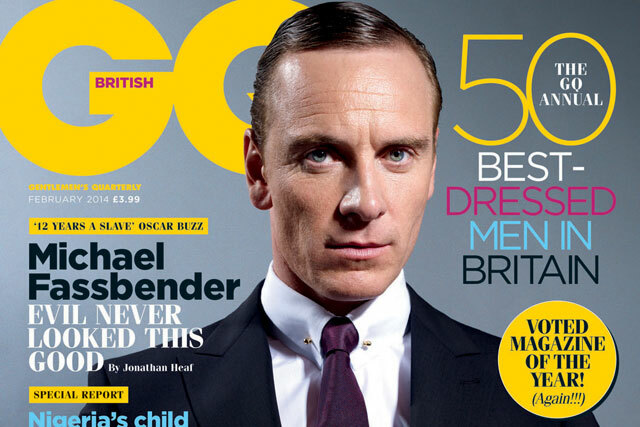 His first interview for GQ will appear in the May 2014 issue. Campbell said: "I like the fact that GQ has a tradition of giving a lot of space to big interviews, and to letting the interviewee get their voice heard, so after making a few stipulations – like never describing me, verbally or in print, as Piers Morgan's successor – I said yes." One of the first public advocates of New Labour, Campbell promises to bring a notable new voice to the 25-year-old British GQ, which has become a beacon of conservative thinking in recent years. The last issue included an extended seven-page feature positioning Romania's Roma as "impoverished, inscrutable" and soon to be over here. Campbell said: "When I was a full-time journalist, I always enjoyed big interviews and I am pleased GQ want me not just to do politics, but figures from sport, business, culture, other aspects of life that I find interesting. "I also hope I can bring a bit of lefty influence to the magazine. There is something not quite right about having an editor who slopes off to write sympathetic books about David Cameron, and makes Benedict Cumberbatch the GQ man of the year. GQ should be the magazine for state schools, not Eton and Harrow. More anon." Morgan, the former editor of the Daily Mirror turned CNN talk show host, is among the many to have had long-standing spats with Campbell. Campbell started 2014 by stirring up old feuds with a tweet on 2 January that read: "Hey @piersmorgan I’ve just been talking to the Queen and Diego Maradona who say you haven’t been dropping enough names from Oz, HNY." Dylan Jones, editor of GQ, said he was "thrilled" by the imminent arrival of a "brilliant, opinionated and compelling writer who has the ability to get straight to the heart of what matters". GQ has a combined print and digital circulation of 130,009 (ABC Jan-Jun 2013); readership is 398,000 (NRS Jul 2012-Jun 2013); unique users of the website total 1,037,909, with 10,714,796 page impressions (Google analytics Aug-Oct 2013).